Is there anything special we have to do for Sandrito’s 25% off? A code or something…? 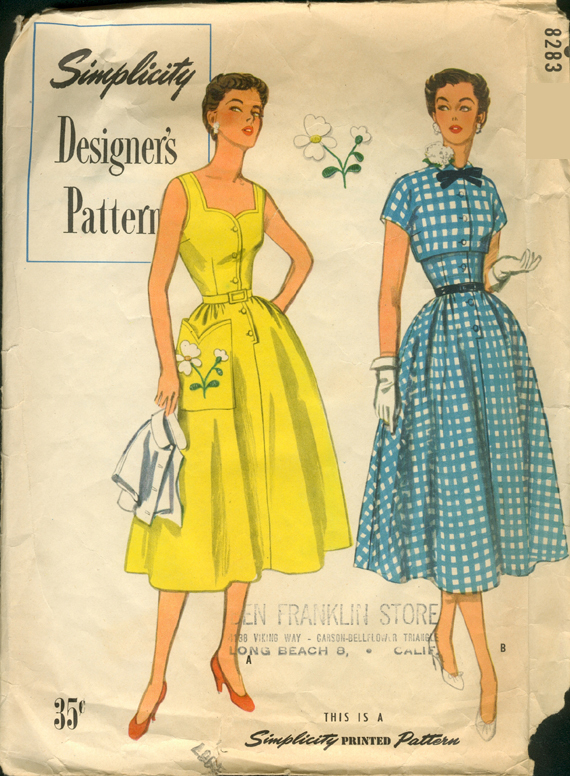 My goodness, I liked that yellow dress so much I had to go and buy the pattern! You’ve got to love one giant pocket, especially when it has a flower appliqued onto it. I think the “no-altering of the pattern” is a silly rule. I have an extremely long torso and an F-cup so their suggestion of changing to another pattern really wouldn’t help – I need to adapt all patterns to my body shape.